The federal government will continue to offer support for hundreds of asylum claimants currently staying in hotels in the Greater Toronto Area, after initially agreeing to cover the cost of their shelter until Sept. 30, a cabinet minister told CBC News. Minister of Families, Children and Social Development Jean-Yves Duclos told CBC's Power and Politics today that the federal government will be a full partner in the work of finding asylum claimants more permanent housing. "The federal government recognizes that greeting and hosting asylum seekers poses a burden, an important burden on social services and housing services across Ontario," Duclos said. "So after Oct.1, as well as at any other time in the future, the federal government will be there to do its share and its part in providing the resources needed by the communities to address the hosting the housing of asylum seekers. We've done that in the past with Quebec, and we look forward to doing this with Ontario in the future." The asylum claimants had been staying in college residences since May, but needed to be out by Aug. 9 to make way for students returning to school. The federal government agreed to cover the cost of the hotel rooms until Sept. 30, leaving it up to the City of Toronto to find a more permanent housing solution as of Oct. 1. But Duclos said the government will work to find a more permanent solution after the Sept. 30 deadline. "So after Oct.1, as well as at any other time in the future, the federal government will be there to do its share and its part in providing the resources needed by the communities to address the ... housing of asylum seekers," Duclos said when asked if the federal government is willing to foot the bill for a more permanent solution. 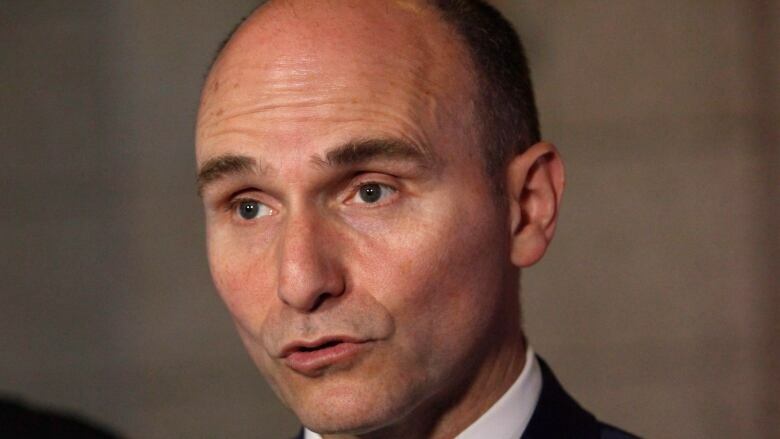 When pressed to state whether that means more federal funding, Duclos did not commit. The federal government has been working on a "triage" system meant to funnel asylum seekers away from Toronto and into other municipalities with available beds. In May, the government said the introduction of the system had been delayed due to the Ontario provincial election. More recently, Ottawa has accused Ontario's new government under Progressive Conservative Premier Doug Ford of not playing ball, forcing the federal government to go to municipalities to find shelter options. The Ontario government has demanded the feds cover the province's entire cost for processing and housing asylum seekers, which they claim is around $200 million. But on Friday, Minister of Border Security Bill Blair told Power and Politics that the federal government would need to see a clearer breakdown of the expenses before it would consider doling out that amount. "Frankly, we need a far more specific breakdown on what those costs are and why they are extraordinary," he said. The federal Conservatives, meanwhile, have accused the Liberals of taking an ad-hoc approach to the situation instead of developing a long-term, fully-costed strategy. The party's immigration critic, Michelle Rempel, said Duclos' statement is another example of the government lacking a clear plan. "This is further evidence the Liberals have made a total mess of this situation and have absolutely no plan to deal with this crisis," Rempel said in an email to CBC News. "Instead of taking action, Justin Trudeau has instead chosen to set up a permanent hotel program to deal with the influx of border crossers, and will continue to throw money at the problem in a vain attempt to make it go away." A new poll released Friday suggests that the Liberals are losing the political battle on asylum seekers to the Conservatives. A majority of Canadians polled by the Angus Reid Institute said that the number of asylum seekers crossing into the country is too high, while a plurality pointed to Conservative Leader Andrew Scheer as the best major party leader to handle the issue.